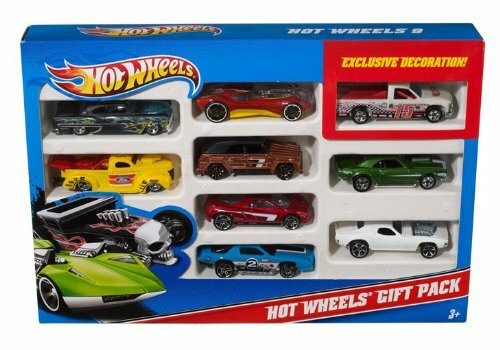 Hot Wheels 9-Car Gift Pack collection: It's the perfect gift for vehicle lovers of all ages, a convoy of speed and action in a pack of 9 die-cast Hot Wheels cars. Pick your favorite for stunting, racing, or crashing play, or add them to your collection. Hot Wheels 9-car packs deliver nine of the coolest 1:64 scale die-cast vehicles with exclusive decorations. Includes 1 exclusive decoration die-cast vehicle, not available anywhere else. Each pack is an instant collection.